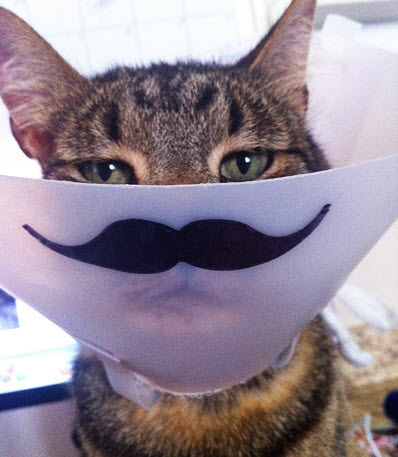 Make a mustache on your cat’s cone collar! Put a plastic cone collar on your cat and determine the ideal location for the mustache. Draw the mustache onto the cone with a pencil, then use a black marker to fill it in.